SunPower is the world’s most efficient and most powerful solar panels and come with the world’s only 25 year ‘Full Replacement’ Product and Performance Warranty. Its advanced Maxeon technology produces up to 60% more power than traditional solar panels and its #1 rated durability make it the safest solar investment you can make. SunPower also has the world’s LOWEST degradation rate; producing more power, longer. 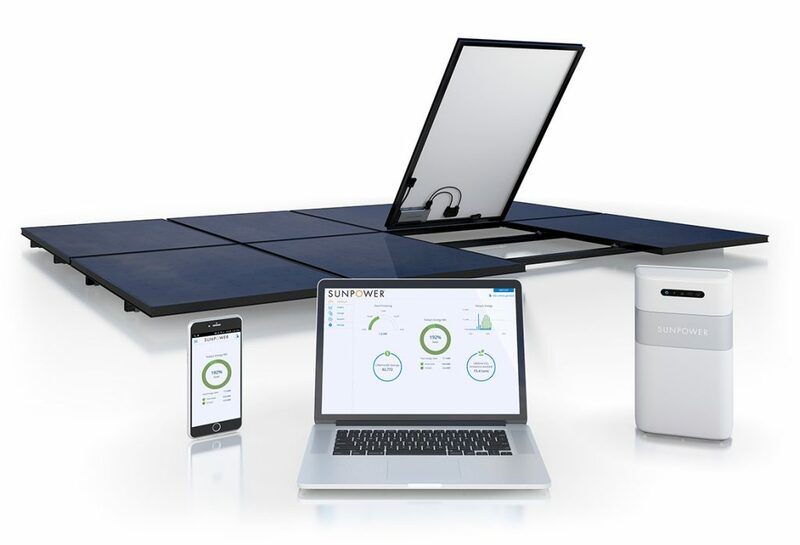 GreenTech Solar is the exclusive dealer for SunPower products in the Cayman Islands and a Caribbean regional provider. SunPower’s award winning solar panels are quite simply the finest solar products available on the market today and the only solar panel with a useable 25 year full coverage product warranty in the region. The SmartFlower ‘blooms’ in the morning and unfolds its flower shaped solar panels completely and automatically. It directs its solar modular fan towards the sun and begins producing clean renewable solar electricity. Thanks to dual-axle sun tracking, the fan moves along with the sun throughout the day. The SmartFlower is the ultimate renewable energy statement that speaks to the commitment to sustainability of the owner. Not only does this energy producing solar system make a dramatic statement on your property, its essentially a work of art that pay for itself.